This is a Custom made wall poster to fix into any size of your wall. Please choose the closest size that fit your wall to proceed with the payment. (Your size selection must be bigger and not lesser than the size you have). 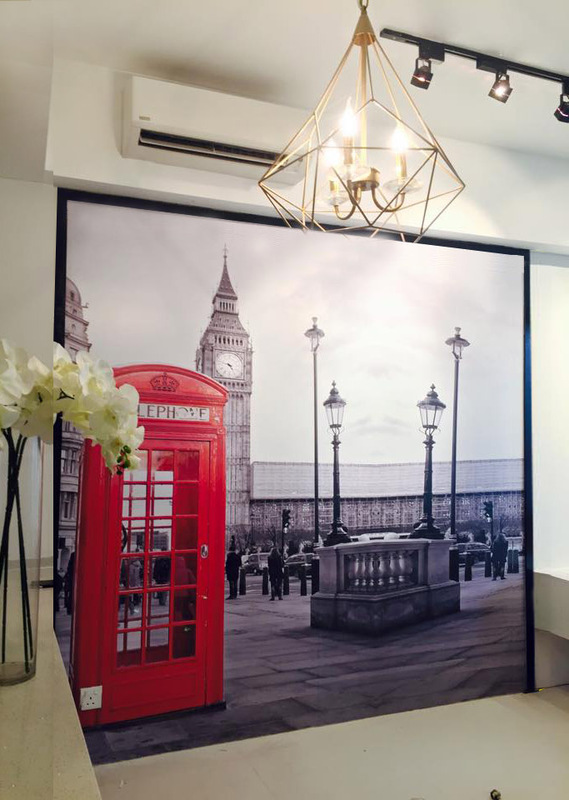 This beautiful wall poster consists of aluminum frame as the border of the poster. The poster will be installed directly onto your wall, a minor wall polish may required if uneven wall founded. *Remark: We do not guarantee on the final result of the wall poster due to your wall condition as we stick the poster directly onto your wall. To Achieve the best result, we advice customer to put a wood panel at the back of the wall to achieve the smoothest surface as possible. If you do not find the exact size in this online page, you may choose the closest size (must be bigger not lesser than the size you have) and make the payment. Once payment done, please email your exact size or put a NOTE/REMARK upon checkout to notify our staff of your exact size measurement. The price indicated are our minimum size, if you size is smaller, the indicated sizes are the final price without any further price negotiation. In 10-14 working days, our logistic department will call you to arrange for the installation of both frame and graphic poster. 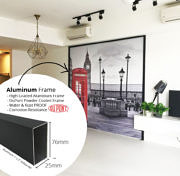 Please take note that there is no screwing works involve in this installation, we use max bond to attach the aluminum frame to the wall and Silicone to fill in the gap if there is any. 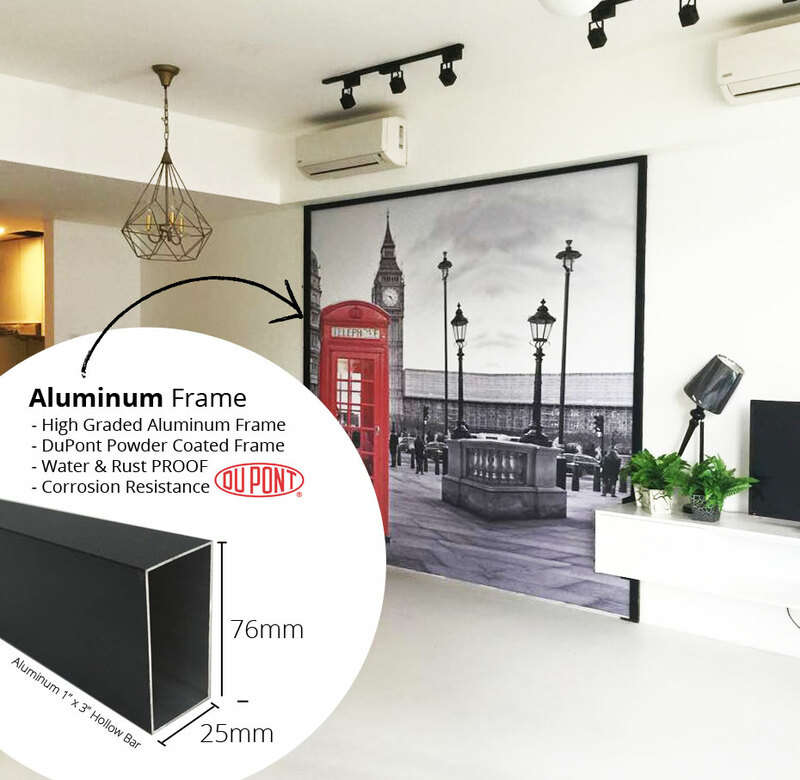 If there is any skirting, we will advice customer to remove it, if you opt not to remove it, we will cut our aluminum bar hollow to fit the size of the skirting, the work is done on best effort basis. To achieve better result, our installer team may need to polish your wall should we found the uneven surface. The delivery waiting period of 10-14 workings counting from the date of payment received. We will notify you once the payment received and the production process will be commenced right after that. Consistent poly-cotton blend matte canvas features an acid-free, neutral pH coating without any additives or agents. 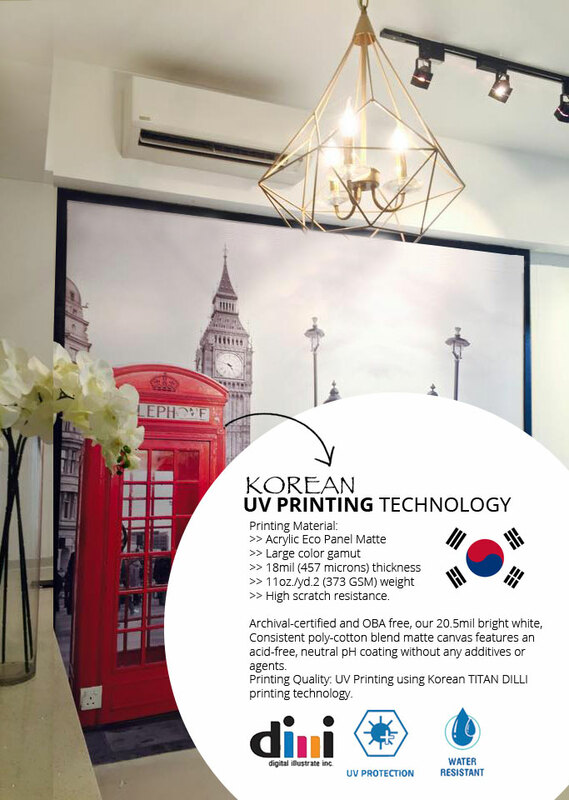 Printing Quality: UV Printing using Korean TITAN DILLI printing technology. In Poster Malaysia, we focus on quality and durability of our product. We can find the most variety poster selections only in Post Malaysia, artpainting.com.my. Poster Malaysia exclusively at Artpainting.com.my. 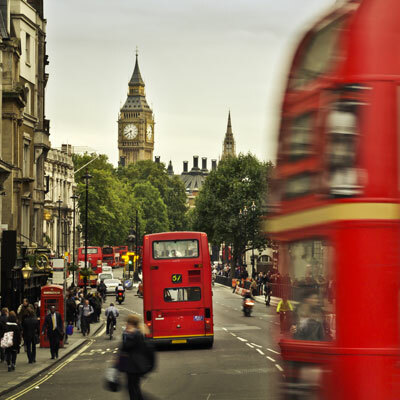 We believe in doing things different. 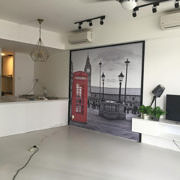 At Artpainting.com, we have exclusive collections wall poster ranging from scenery, landscpe, city skyline and nature touches in our poster malaysia collection. Decorating your own home is something exciting and we would like to make fun out of it. Putting a Large Poster in your home is appealing and eye catching. 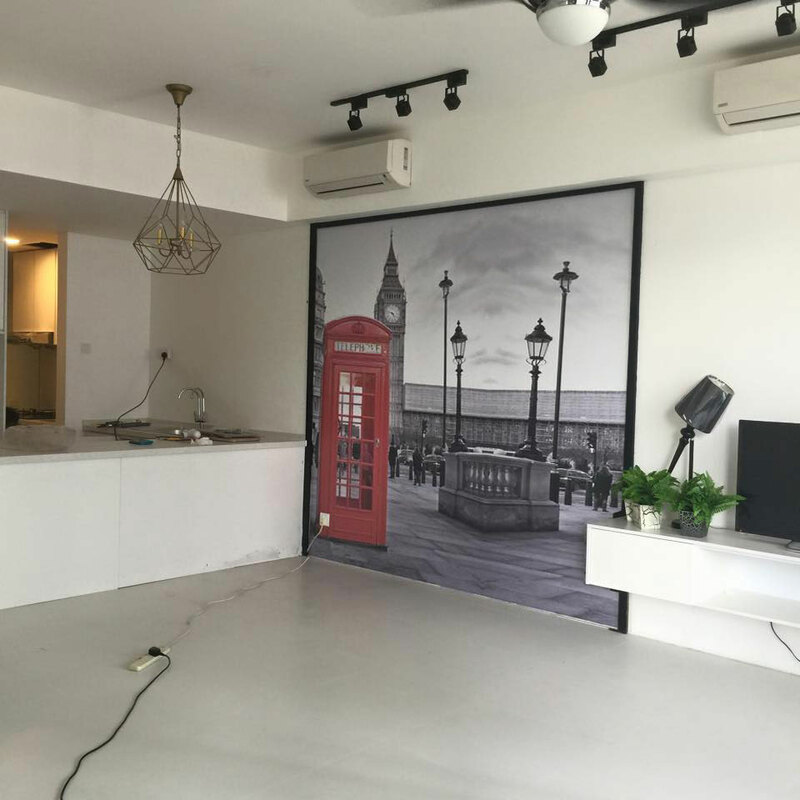 With more than 15 years experience in home renovation industry, Artpainting.com.my has become an household names for art decor. Browse through thousands of products with just a click of a button. 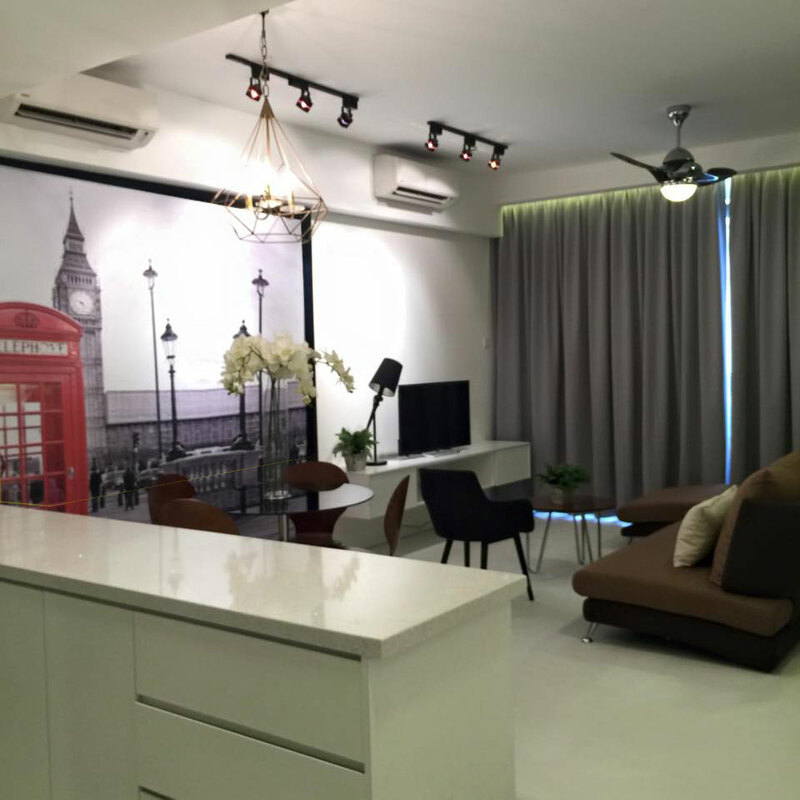 We have two collections under poster Malaysia, which are City Capital and Scenery View. Enjoy shopping!